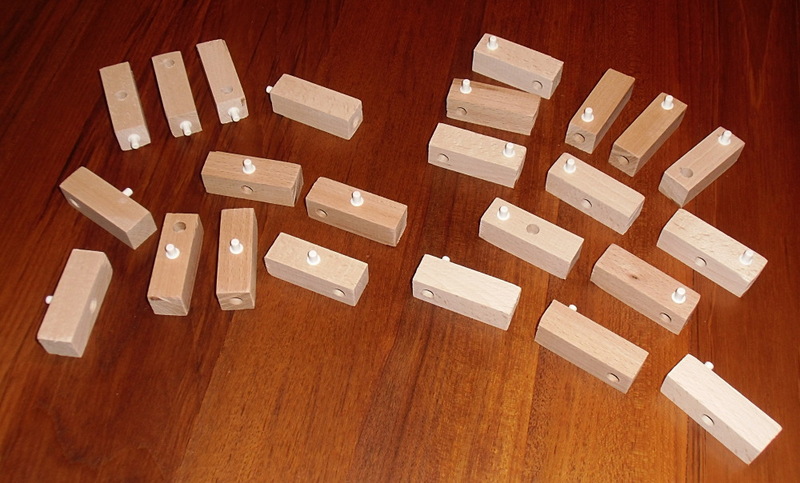 Here are the 24 I-Tricubes with exactly one peg and one notch. The physical pieces are arranged to make all pegs and notches visible. The virtual pieces are transparent and aligned. With two congruent boxes of size 2x3x6 we can get constructions for 2x3x12, 3x4x6 and 2x6x6 boxes. For a physical box I used a construction without separating planes. The missing boxes of size 2x4x9 and 3x3x8 are here. 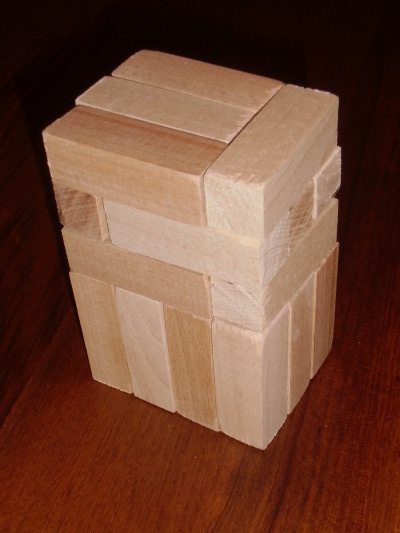 The 3 pieces with one male face and the 3 pieces with one female face can't be used to make a 2x3x3 box, because the male face of piece 2 and the female face of piece 5 would show at the surface of the box. There are 16 pieces with two male faces and 16 pieces with two female faces. These pieces allow for two 2x3x8 boxes, which can be combined to get 4x3x8, 2x6x8 and 2x3x16 boxes. Other boxes seem to be constructable as well.